If you are looking for information on the Adult Day Services franchise business opportunity, senior home care franchises, adult day care or senior day care franchising, then you have come to the right place. 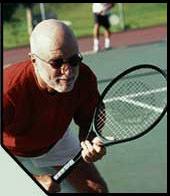 As people age, the need for daily activity does not decrease. In fact, it becomes more important. Adult Day Services Franchise recognized this need and created Adult Day Care to provide a place where older adults living at home can come and enjoy social and therapeutic activities and receive the assistance they require day to day. Like anyone else, older adults need and deserve to have a caring, stimulating, and enjoyable environment which supports the capacity for self care and encourages positive feelings of dignity and self worth. Caregivers also benefit. With the assistance of Adult Day Services Franchise, caregivers have the much needed time to work, run the family household or even just relax. Adult Day Services Franchise provides peace of mind that your loved one is receiving excellent care in a fun and stimulating environment. Assistance with site selection and building setup. Assistance with developing and implementing a marketing program. 24 hour access to franchisor. The elderly population is the fastest growing segment in the U.S. The number of people over 65 years of age will grow to 53 million by 2020.By the year 2010, one in five Americans will be over the age of 65.Average life expectancy has increased 15 years since the founding of the Social Security System in the 1930's.